To reap means ‘to gather or take’ and it is mostly used as an agricultural term to talk about harvesting crops, although it is also used figuratively to mean ‘to get as a result of or in return for something.’ This last sense usually refers to money or benefits obtained after some activity. Workers were out in the fields, reaping the wheat. If you get into a regular exercise routine, you will reap the benefits in terms of your health. The business is doing well and its financial backers are reaping the rewards of their investments. Traditionally, grain crops were reaped using scythes or sickles—tools with curved blades. This is why the Grim Reaper, the anthropomorphic representation of death, is usually depicted holding a scythe, which he uses to reap human souls. 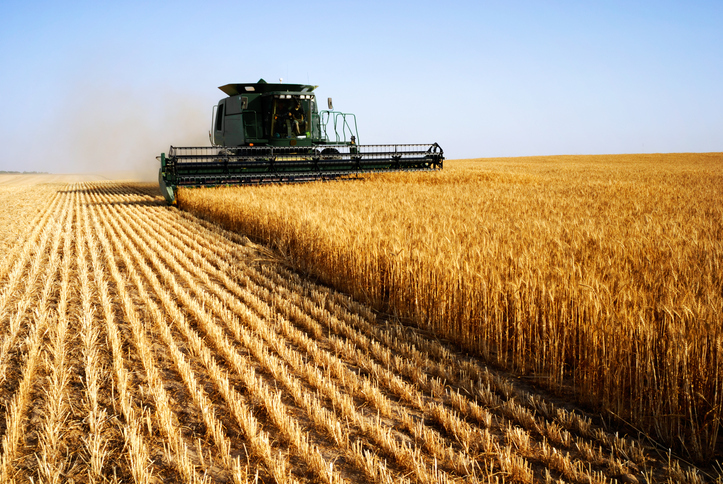 These days, grain crops are usually harvested using a machine called a combine harvester, which reaps, sorts, and cleans the crops. Reap, originally meaning ‘to cut grain with a sickle,’ dates back to before the year 900. The Old English verb reopan, riopan, ripan or repan (depending on the OE dialect) evolved into repen in Middle English, before dropping the -en ending. The form we use now became the most common spelling by the 16th century and the only spelling considered “correct” in the late 17th century. Its origin is uncertain, but linguists agree that it came from a Germanic source, such as the (Proto) West Germanic ripijaz. It is related to the Middle Low German repen (to ripple), as well as the Old Saxon ripi, the Middle Dutch ripe, the Dutch rijp, the Old High German rifi, and the German reif, all of which mean ‘ripe,’ and of course the English word ripe (which originally meant ‘ready for reaping’). The sense expanded to include all crops, and has been used figuratively to mean ‘to get results in return for something’ since the 16th century.